From designing and printing your mail piece to selecting a mail list for your audience--have it done in one stop! 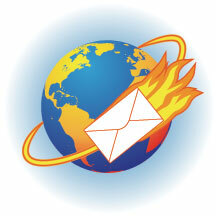 We offer a full range of mailing services that will help your mailings qualify for maximum postage discounts. We CASS-certify all mail lists, and our high speed inkjet addressing equipment prints ZIP+4 and delivery point barcodes. Our drivers make daily deliveries to the Rockford Post Office. Give us a quick call before you start that next Direct Mail project.